Avocado is a healthy fat with hydrating properties. When combined with lemongrass, fresh avocado bath bombs give you an invigorating burst of energy while hydrating your skin. They are easy to make, so you can have an energizing soak as often as you’d like. Your friends will be jealous though. You might want to whip some up for gifts too. 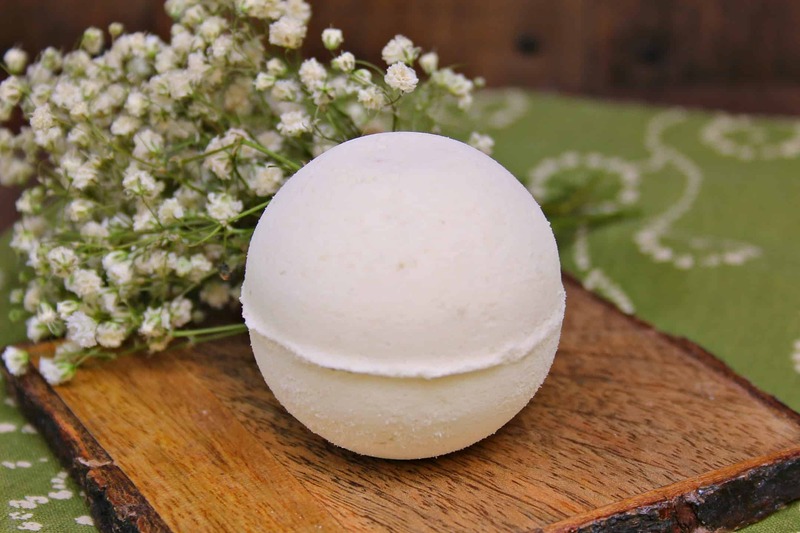 Citric acid is the secret ingredient that will make your bath bombs fizz. I bought it from Amazon in bulk and was surprised by how many ways it can be used. You can add citric acid to meat, candy, soft drinks or ice cream for a sour taste. It is also used for preserving foods and in cleaning products. While you’re there, the bath bomb molds can be purchased on Amazon too. I like this set that comes in three sizes because sometimes I have more time to relax in a bath than others. 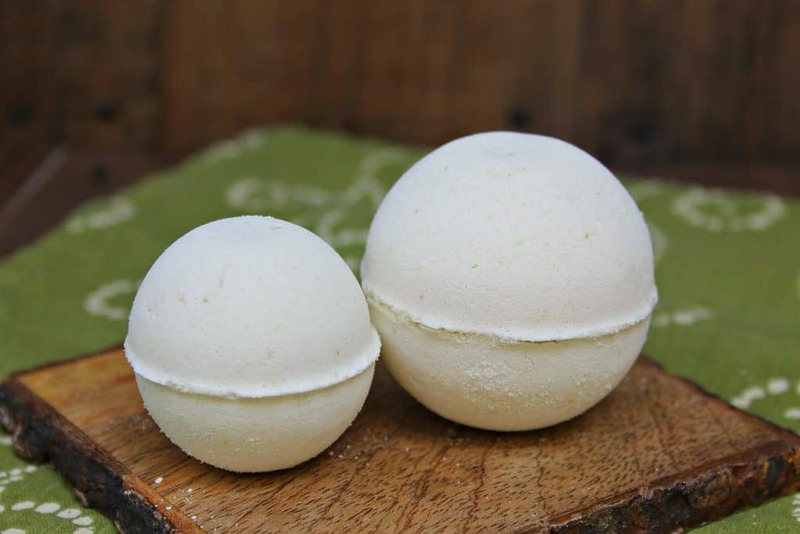 It is also nice to have size options if you are making the fresh avocado bath bombs for gifts. The smaller molds make bombs that fit nicely in a mason jar for quick and easy packaging. 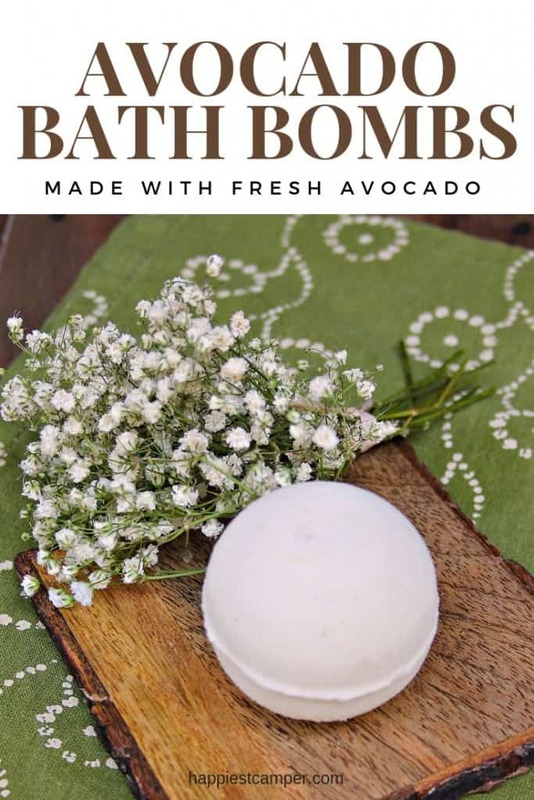 In order to make your fresh avocado bath bombs smell heavenly, like the Avobath bombs from Lush, you will need this fragrance oil from Aztec Candle and Soap Supplies. That’s not an affiliate link. I just LOVE how it smells and know you will too! In a large mixing bowl, add baking soda, citric acid and cornstarch. Add coconut oil and avocado to food processor. Pulse until smooth and creamy. Add the Avobath Lush scent and 1-2 teaspoons of the avocado and coconut oil mixture. Use your hands to break up any lumps and thoroughly mix all ingredients. Fill each side of a bath bomb mold with the mixture. Press both sides of the mold together while making a twisting and grinding motion to get rid of excess moisture. Gently tap each side of the mold to remove the bath bombs. Let the bath bombs completely dry and harden overnight. Store the bath bombs in an airtight container until ready to use. Just drop one in a bath tub filled with warm water and watch it fizz. A piece of cellophane tied with a ribbon is an easy way to dress up the bath bombs for gifts, or you could fill a mason jar with the smaller sized bath bombs. 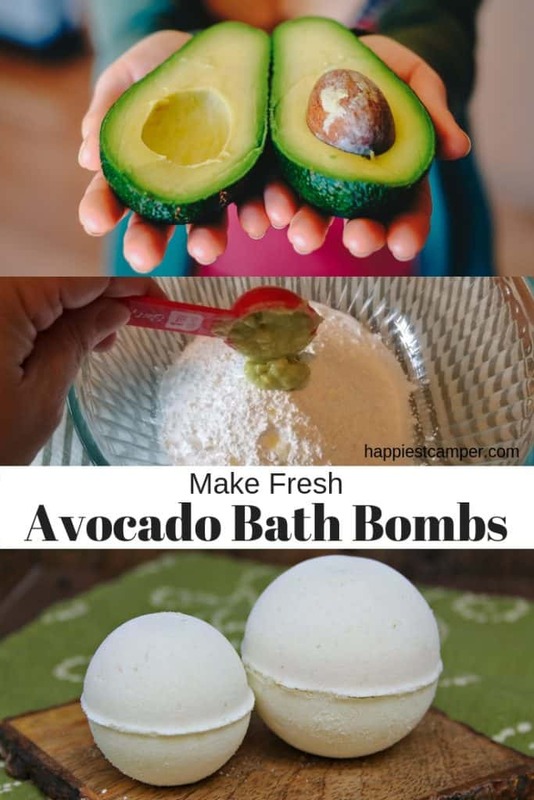 Women, especially moms, love the fresh avocado bath bombs, but men and kids can enjoy them too. It is fun to tell the kids that a spider is crawling out of the bath bomb. Hehe! Won’t the avocado spoil? What’s the shelf life for these? The citric acid will keep the avocado for a quite a while.